Peter Angelo SimonAli during his early morning run. Simon wasn’t sure what to expect. 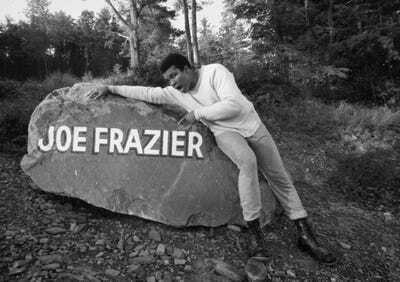 “I had never been to a boxer’s training camp,” he wrote in the intro to his upcoming book “Muhammad Ali: Fighter’s Heaven 1974.” It’s an especially timely piece given Ali’s passing June 3. 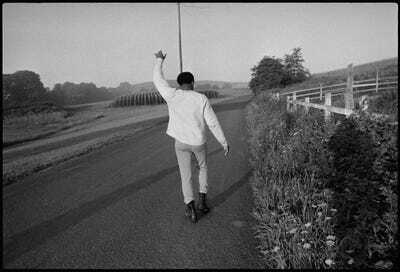 “While a global audience was fixated on his fate, I was able to record aspects of Ali virtually unknown,” Simon said in a press release for the book. 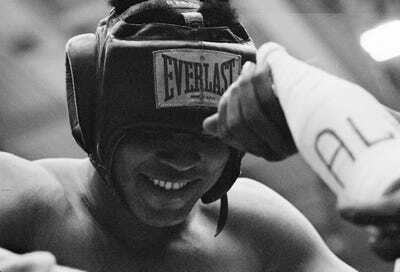 Ahead, see some of the intimate moments Simon captured of one of the world’s most famous boxers. 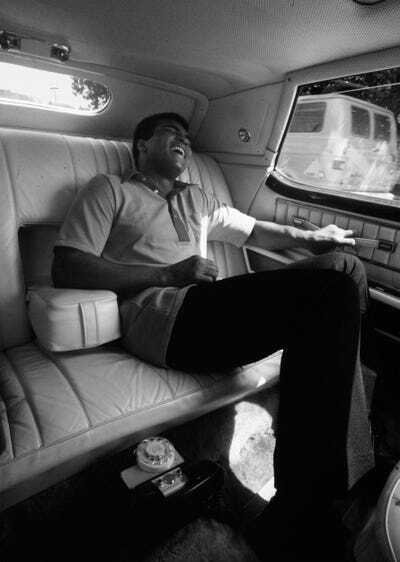 'If there's a secret to my fights, it's how I prepare,' Ali told Simon. On his very first day, Simon was up at 4:30 a.m. with Ali, who was running down a remote road in his army boots and grey sweatpants. 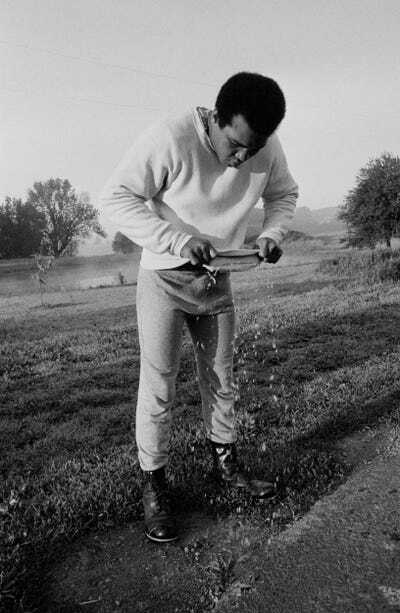 At the end of his more-than-five-mile run, Ali warned Simon to get his camera ready. 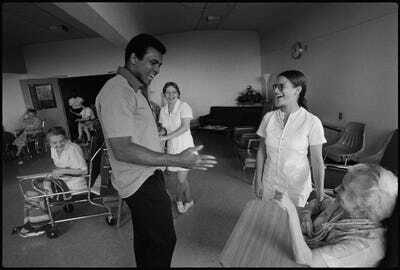 'Get this,' Ali told him. Ali pulled his sweatshirt up, as well as the rubber liner inside it, and water poured out. 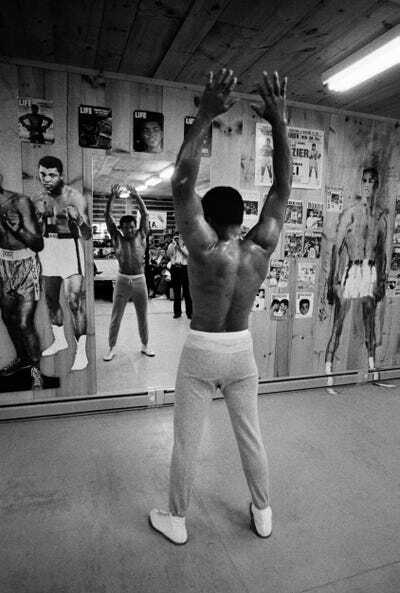 'It's called letting out the sweat,' Ali said. From that moment, Simon knew that Ali understood what kind of images he needed to capture. 'Our unspoken agreement: he'd do his thing, and I'd do mine,' Simon wrote in the intro of his book. Within the training camp was a gym, mess hall, and kitchen, all of which were made of logs. 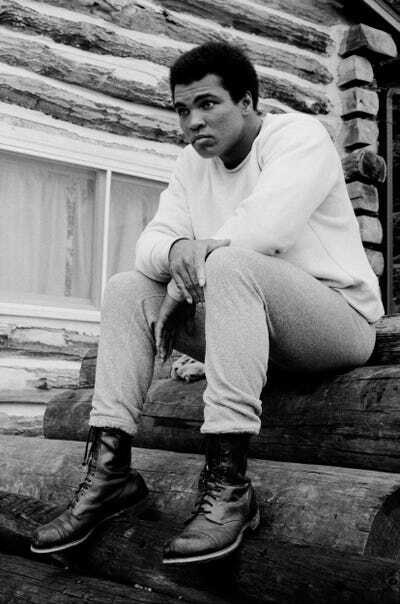 Ali's family stayed with him, and helped with the upkeep of the camp. His aunt, mother, and father also saw to the cooking. 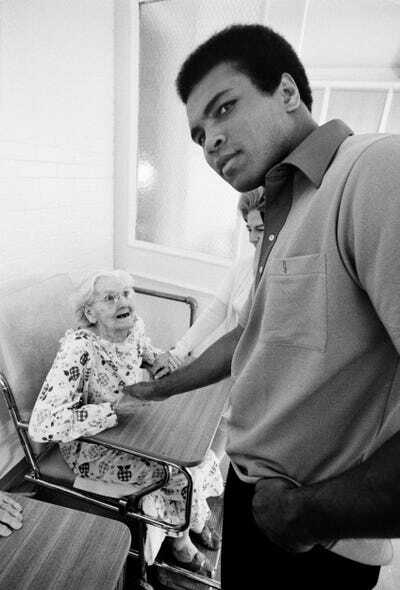 Ali visited a nearby home for the elderly during Simon's stay. 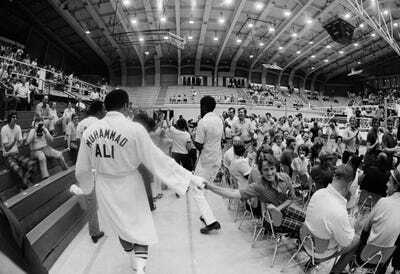 Ali also had an exhibition match at a local high school during Simon's time with him. 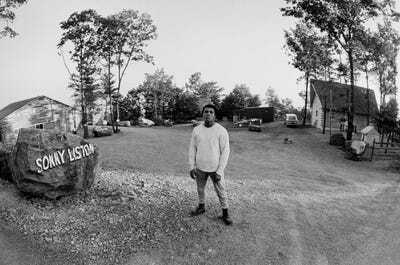 'Although the camp was created as a sanctuary for his training, Ali was nourished by people,' Simon wrote.